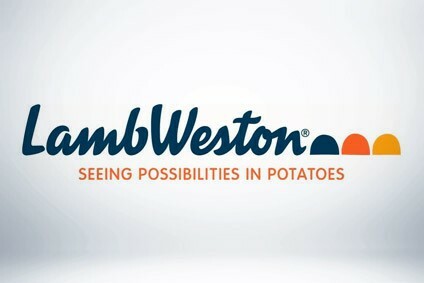 Tom Werner, the chief executive of Lamb Weston, is "confident" the US-based potato-products supplier will see "solid top- and bottom-line growth" in its new financial year despite pressure from factors including the tension on trade between Washington and a number of major economies. Lamb Weston, the owner of the Alexia brand and supplier of potato products to retailers and foodservice outlets worldwide, saw its net sales rise 8% to US$3.42bn in the 52 weeks to 27 May. Income from operations grew 12% to $580m, which contributed to a 27.% jump in net earnings to $416.8m. For the new financial year, Lamb Weston is forecasting net sales will rise at a "mid-single digit" rate, with its adjusted EBITDA including unconsolidated joint ventures expected to be $860-$870m. In Lamb Weston's last financial year, that figure stood at $820m, up 12% on the previous 12 months. "We are targeting another year of solid sales and earnings growth. We anticipate demand growth for frozen potato products in North America to be in line with recent trends, barring any unforeseen economic event that would significantly impact consumer sentiment," Werner told analysts on a conference call to discuss the results. While Lamb Weston remains confident about its ability to generate "solid" increases in sales and profits in its new financial year, Werner did outline "some potential risk and headwinds" he sees on the horizon. "Inflation is accelerating for many of our production costs and more significantly for transportation costs. We anticipate being able to offset these costs through improved price mix and productivity, but the higher inflation will likely temper opportunities for significant gross margin percentage expansion," Lerner said. "We expect increased market volatility outside the United States. The imposition of tariffs or other trade barriers raises landing cost for products made in the US and opens the door for more competition from non-US sources in key international markets. At the very least, the threat of retaliatory tariffs on US products may encourage customers to seek alternative suppliers. In addition, significant new capacity in Europe becoming operational within the next 12 months may lead to some near-term supply/demand dislocation." Analysts pressed Werner for Lamb Weston's take on the new capacity set to hit the market and for how it could affect the company. He said: "It is absolutely a concern and the where we're at today as an industry, we've experienced a lot of capacity coming online that quite frankly hasn't happened in the past. It's imperative for us to continue to execute our business and our plans. "We haven't had a material impact with the capacity coming on and I think that's a function of two things. One is where people are normalising production and maintaining their plans. And the second thing is the demand continues to grow based on our outlook that we gave six months ago. It's a different environment than we've had in the past in the industry, and we'll continue to react the way we need to drive our value creation model." In the third quarter of its financial year just ended, Lamb Weston's European venture with Dutch group Meijer Frozen Foods opened a plant in Russia. Alongside the results, Lamb Weston said it planned to buy the rest of a potato-processing venture in the US, Lamb Weston BSW, that it does not already own. Lamb Weston BSW was set up in 2008 when the company, then part of the then ConAgra Foods, teamed up with local supplier Ochoa Foods. In June, Lamb Weston informed Ochoa of its exercise of a call option to purchase to buy the 50.01% in the venture held by its partner. "We'll finalise the transaction as soon as practicable. We anticipate the total cost will be about $65m," Lamb Weston CFO Rob McNutt said.